Thanks for joining me! 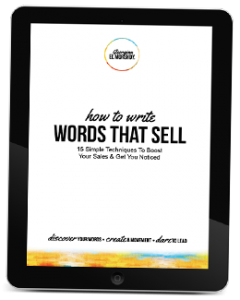 As promised, here’s the link to download your free copy of “How to Write Words That Sell“. (I’v also emailed you a copy of this link, so do check your inbox too). After all running a business and being your own boss is tough! Please email georgina@gemwriting.co.uk and let me know. I look forward to hearing from you and hope you have a great day.